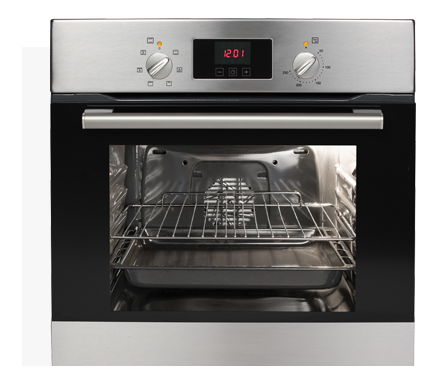 We professionally clean ovens on a daily basis, which gives us the knowledge to deep clean any oven. Only non-toxic, biodegradable cleaners are used in your home, so there are no fumes and your oven can be used as soon as we walk out your door. Using non-toxic cleaning products means that there will be no chance of children or pets breathing in any toxic fumes and becoming ill.
Oven cleaning generaly takes around 2 hours and once cleaned there is no waiting around, you can use the oven as soon as we have finished. 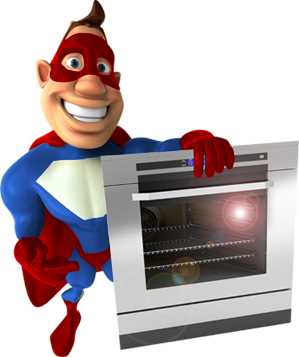 We are the best value oven cleaning service there is, not only are we cheaper than everyone we work to the highest standards and have the best customer service, which is why our customers book us again and again. We are professionals in deep cleaning your oven to showroom condition. Our aim is to leave all our customers very happy with a sparkling oven. We are based in Kent and our coverage area is Maidstone, Kings Hill, Medway, Gravesend, West Malling, Dartford, Ashford, Canterbury, Sevenoaks, Tonbridge, Sittingbourne and virtually all of Kent. We are a family business thats believes in giving a great service at a fair price, which is why we always put our customers first and try to accommodate everyone individually. We always get the best results possible, put in the hard work and care each job needs, which is maybe why nearly all our customers use us time and time again. feel free to call us today to discuss your requirements or to book Mr Oven Cleaner.